Our guest this week is National Book Award winner, Charles Frazier. We’ll be talking with him about his new novel, VARINA (April 3, 2018, Ecco, an imprint of HarperCollins). 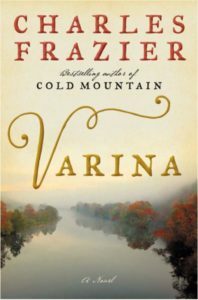 VARINA debuts at #10 on the New York Times Bestseller List. Writing On the Air is broadcast each Wednesday from 6-7 pm Central from the KOOP Radio studios in Austin, Texas. We are heard on 91.7FM KOOP, and online at KOOP.org, TuneIn.com and Radio Free America. Recent episodes are immediately available after the broadcast on Radio Free America. Listen to our past episodes below – simply scroll through the guests, or try the search bar. You can download the interviews from each page, and our podcast is also available on iTunes. For show updates, be sure and follow us on Facebook and Twitter. 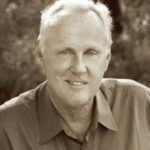 Charles Frazier is the author of Cold Mountain, an international bestseller that won the National Book Award and was adapted into an Academy-Award winning film by Anthony Minghella. 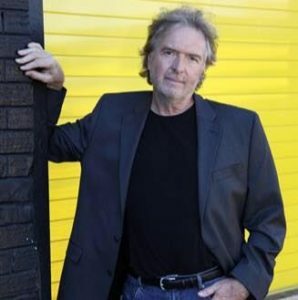 Charles is also the author of the bestselling novels Thirteen Moons and Nightwoods. His latest novel is VARINA (April 3, 2018, Ecco, an imprint of HarperCollins). Charles was born in Asheville, North Carolina, grew up in Andrews, North Carolina, and graduated from the University of North Carolina in 1973. He earned an M.A. from Appalachian State University in the mid-1970s, and received his Ph.D. in English from the University of South Carolina in 1986. Sooner or later, history asks, which side were you on? In his powerful new novel, Charles Frazier returns to the time and place of Cold Mountain, vividly bringing to life the chaos and devastation of the Civil War. Her marriage prospects limited, teenaged Varina Howell agrees to wed the much-older widower Jefferson Davis, with whom she expects the secure life of a Mississippi landowner. Davis instead pursues a career in politics and is eventually appointed president of the Confederacy, placing Varina at the white-hot center of one of the darkest moments in American history—culpable regardless of her intentions. The Confederacy falling, her marriage in tatters, and the country divided, Varina and her children escape Richmond and travel south on their own, now fugitives with “bounties on their heads, an entire nation in pursuit.